How to you shelve your scrapbook albums? Do you make sure they are all the same and labeled by year? Do you have categorized albums? Do you just buy whatever album you can find on sale? In the past, I was a super fan of the brown leather-like albums from Hobby Lobby where I organized my layouts by year. They were sturdy with large rings and I could use a 40% off coupon when I needed a new one. However, Hobby Lobby is a drive, and once Michael's opened just 10 minutes away, I started purchasing the WeR Memory Keepers albums with my 40% off coupon. The same albums were also at our Target, which sold for $10 less than Michaels, and I didn't need a coupon for the best deal. Target has made some changes for their art supply department, and the favorite WeR Memory Keepers albums went away (along with the majority of their other scrapbook supplies). The picking was slim at Michaels as well and just focuses on the Project Life albums. My dilemma was that I wanted the black, faux leather, which was hard to find in my area. Now as a Stampin' Up demonstrator, I found the most perfect solution! Stampin' Up sells a black, Project Life album that is nearly identical to the WeR albums! In the top left photo is a WeR Memory Keepers album; in the top right, the Project Life by Stampin' Up. Both have the large D rings. The difference is the metal labels on the spine, but since they are both the silver color, it will still look similar on the shelf. 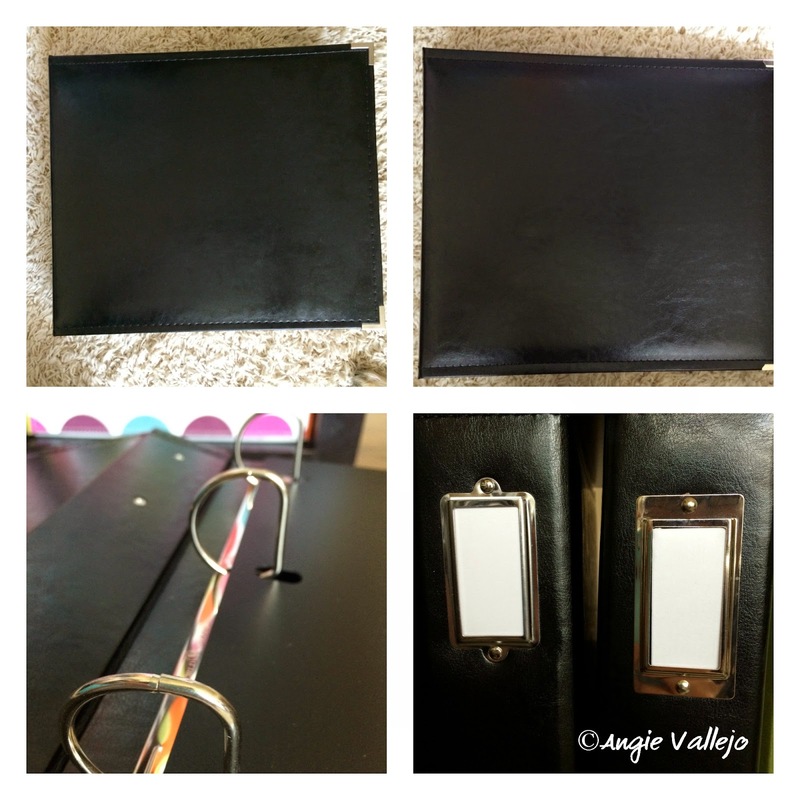 If you are looking for black faux leather albums, may I suggest you check out my Stampin'Up store website? The best part is that until April 10th, there is FREE SHIPPING on any size order! So pick up a couple albums for your Spring and Summer scrapbooking and/or Project Life projects! And if you are strictly a Project Life scrapbooker, Stampin' Up sells exclusive Project Life card and stamp sets that you cannot find anywhere else! At my website, search "Project Life" to see all the awesome supplies available! Want to earn some credit for your new albums and Project Life supplies? If you are local to me, you can have a Craft Camp with your crafting buddies. I will come and show you some fun projects you can do with your friends where you can enjoy and experiment with Stampin' Up projects. If you are not local, and you do not have a Stampin' Up Demonstrator, you can have an Online Party! Simply message me through my website for details on this fun alternative you can have with online friends while earning Hostess Credit! Have a great week, and thanks for visiting!